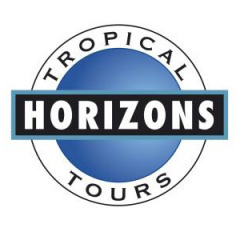 Tropical Horizons Tours has been operating for over 20 years and has the experience to handle your travel needs. When travelling with them you will always do so in air-conditioned comfort and with trained and experienced local guides. 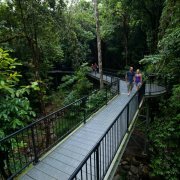 Their tours range from full day tours North of Cairns and Port Douglas to Cape Tribulation , South as far as Mena Creek and Paronella Park and West past Mareeba and Granite Gorge. 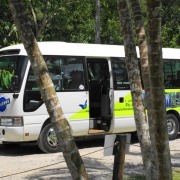 They also do half day tours, Kuranda Tours, and charters and overnight tours by arrangement. Most of the guides have been trained to either Certificate IV in Guiding or are Eco Tourism Australia Certified Guides. Some have also recently received Awards by Industry in recognition for their superior customer service skills. They also have an experienced team of multi-lingual guides, so for some of the international guests, may wish to enquire about our scheduled bi lingual language assisted tours in order to make your experience even more relaxing. They operate from a dedicated modern coach depot and first class office accommodation. Tropical Horizons also operate with a fully trained permanent reservation team and an additional dedicated 24 Hour manned reservation service for all your bookings and any other inquires for your peace of mind. Operating 364 days a year (apart from Christmas day) and depart daily from Cairns and Port Douglas and offer little luxuries to make your experience truly special.